Melbourne Victory W-League stars Christine Nairn (left) and Dani Weatherholt (right) visited Longford Primary School on Tuesday. 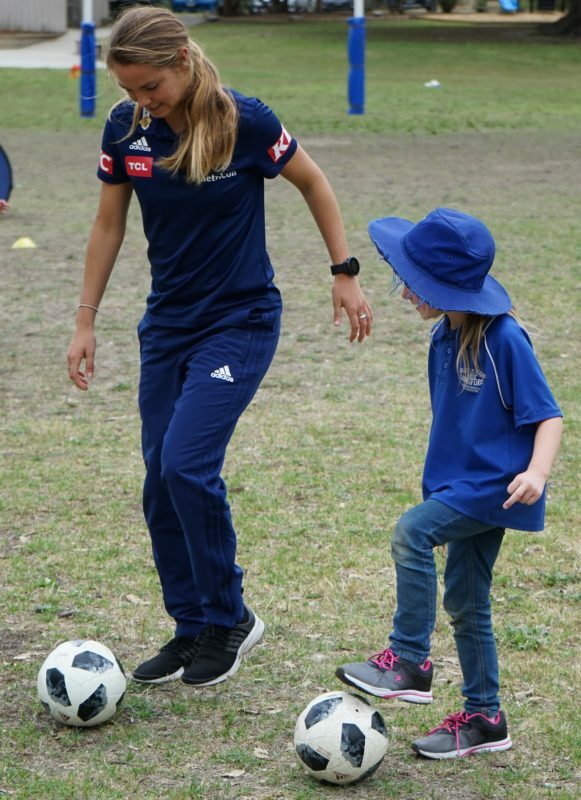 Melbourne Victory’s W-League stars have been getting back to grassroots this week, inspiring the region’s youth to embrace the world game. The Big V women embarked on a whirlwind tour of Gippsland schools to teach the next generation of soccer stars some slick skills ahead of their round five blockbuster against Western Sydney Wanderers in Morwell this Sunday. American imports Dani Weatherholt and Christine Nairn kicked things off at Bundalaguah and Longford Primary Schools on Tuesday with super clinics and a signing session lighting up students’ day. The Orlando Pride centre midfield duo said it was exciting to bring the BigV to small country towns and spread the reach of the W-League to the regions. “As a kid growing up I would have dreamed to have female professional athletes in my town so for us to be able to give back and get into the community, it’s great,” Weatherholt said. “The school we were previously at (Bundalaguah) they were talking about how they played soccer for the first time today; it makes me really happy. For Nairn, the community visits and Sunday’s match in Morwell come as an opportunity increase local participation and further develop the women’s game. “I think the more we can grow the game, both men’s and women’s I think that’s something all the players want to do,” she said. 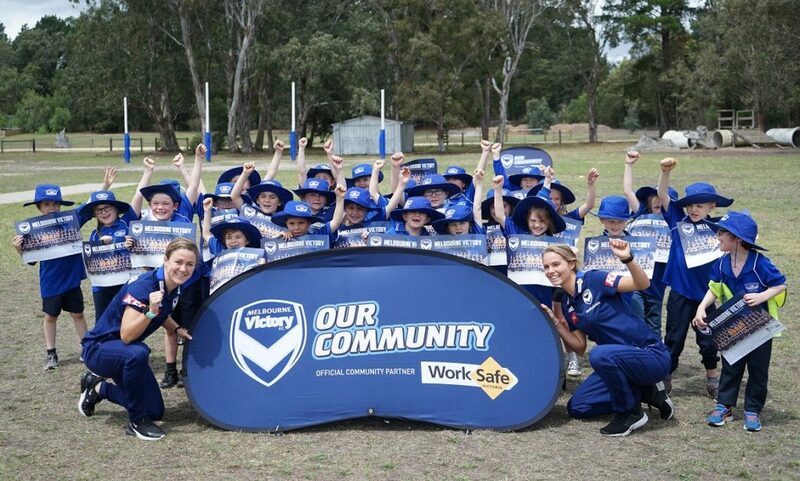 Victory teammates Natasha Dowie and Samantha Johnson journeyed to Warragul and Warragul North Primary Schools on Tuesday, while Emily Gielnik, Casey Dumont, Teigan Allen and Angie Beard ventured to Trafalgar Primary School, South St Primary School (Moe), Drouin Primary School and Drouin West Primary School today. Samantha Johnson was a star attraction in Warragul. The Victory will also hold an open training session and super clinic at Latrobe City Sports and Entertainment Stadium on Saturday, ahead of the big match on Sunday kicking off at 4pm. The event and community activities come as part of the Latrobe Valley Authority’s three year partnership with Victory.